Actually there are two surveys – one for those working in libraries and one for patrons. If you work in a library and work with ebooks please take a few minutes to take the first survey. Please share the second survey with your patrons. The surveys will be live April 16 through May 18. The survey’s are part of a the research Pew is conducting on the role of libraries in the digital age (disclaimer: I serve on the Library Advisory Board). The next report will be available this summer (the first one was released in April). Lee Rainie, director of the Pew Research Center’s Internet & American Life Project, will provide an update on the Pew library research on Sunday, June 24, at the ALA Annual Conference in Anaheim. The second survey is for patrons who check out e-books from their local public library. 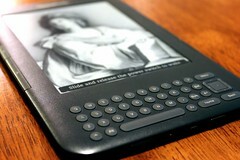 It is available here: http://libraries.pewinternet.org/participate/survey/e-book-borrowers. It also takes about 15 minutes. This survey is not password protected. Pew has created a brief message (available below) that you can share via your website, e-newsletters, social media and other dissemination methods, as well as a flyer and code that can be used to embed the survey on your library’s website. To get the Web code and/or flyer, please contact Kathryn Zickuhr at kzickuhr@pewinternet.org. The Pew Research Center Internet & American Life Project is conducting an online survey of library patrons. We ask that you take the survey to help us out. All responses will be confidential. The survey should take about 15 minutes. The Pew Internet Project will also be doing other general surveys of library patrons, as well as non-library-users who own e-readers or tablet computers. If you would like to participate future surveys, sign up here to be notified. To learn more about the Pew Internet Project’s research on e-reading and libraries, which is entirely free and available to the public, visit libraries.pewinternet.org. The ALA, IMLS, COSLA and other library leaders are advisors on a national research effort studying the changing role of public libraries in the digital age, as well as the experiences and expectations of public library users. The Bill & Melinda Gates Foundation has funded the Pew Research Center’s Internet & American Life Project to conduct surveys and provide analysis related to reading and e-reading; the changing world of public library services and the choices public libraries must make; and a typology of who does – and does not – use public libraries. As many of you know, Pew is a national leader in this kind of research, and their reputation and reach are high and wide – and the Project is interested in learning about the work and opinions of public librarians. We believe this effort will provide the kind of data-based information public libraries are demanding to proactively meet changing community needs and advocate for the future. And, like all research efforts, it can’t happen without you. The first major report in this series was just released and examined the “rise of e-reading” and how people find and consume long-form digital content. That report is available online at libraries.pewinternet.org. The next report in this research series will look specifically at people’s experiences in public libraries, especially their use of e-books and other digital services. To inform this research, Pew is supplementing its usual nationally representative phone surveys with two online surveys to draw out the deeper, richer stories behind the data. I was expecting a survey for people like myself who make ebooks, and expect it to become an increasingly large part of our working lives.